Straddling the British Columbia/Alberta border, this mountain chain runs from the U.S. border to the northern end of British Columbia. Within the Canadian Rockies is some of the most beautiful, serene and, at the same time, breathtaking scenery on the earth’s surface. 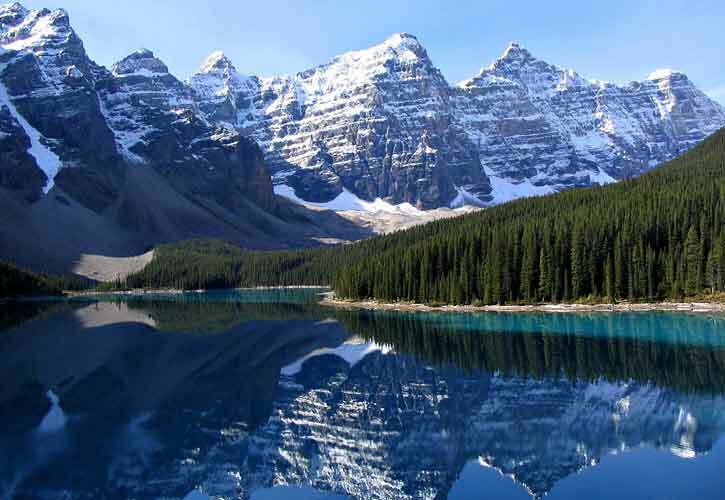 These mountain jewels are distinct from the American Rockies as they have been very heavily glaciated, resulting in sharply pointed mountains separated by wide, U-shaped valleys gouged by glaciers, whereas the American Rockies are more rounded. 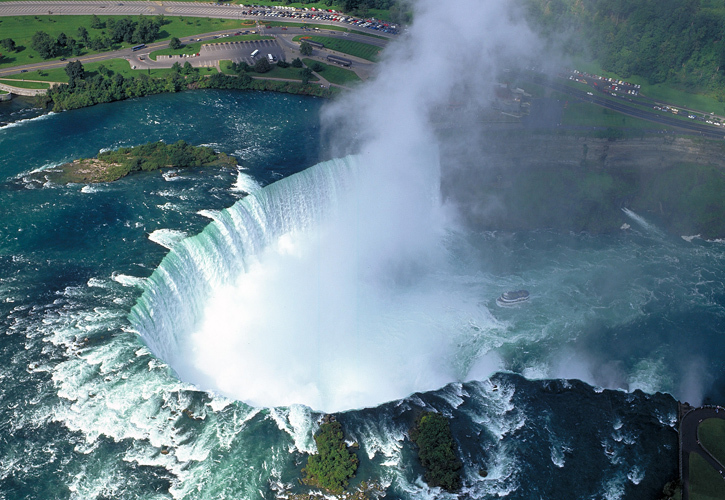 With more than 6 million cu ft (168,000 m³) of water falling over its brink per minute, Niagara Falls is the most powerful waterfall in North America and maybe the most famous in the world, attracting millions tourist each year. Located on Vancouver Island’s rugged west coast, the park encompasses Long Beach, which is actually a 40-km stretch of wide, sandy beaches on the west coast of Vancouver Island between Ucuelet and Tofino. The park provides access to nature at its rawest: Wet, wild and dramatic scenery that can be observed from the comfort of warm, luxurious hotels that dot the coastline. It’s also a surfers paradise! 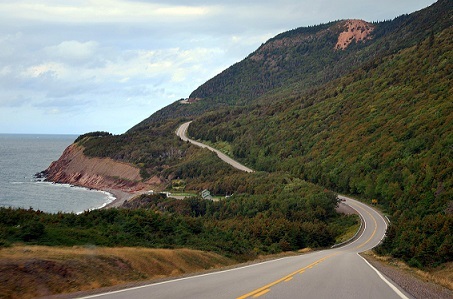 This 300 km trail through the highlands of Nova Scotia’s Cape Breton, on Canada’s east coast, is actually a drive; a beautiful, scenic loop carved into the side of mountains that rise high above the waters of the Gulf of St. Lawrence. It winds around Cape Breton’s northern shore, ascending to the plateaus of Cape Breton Highlands National Park. 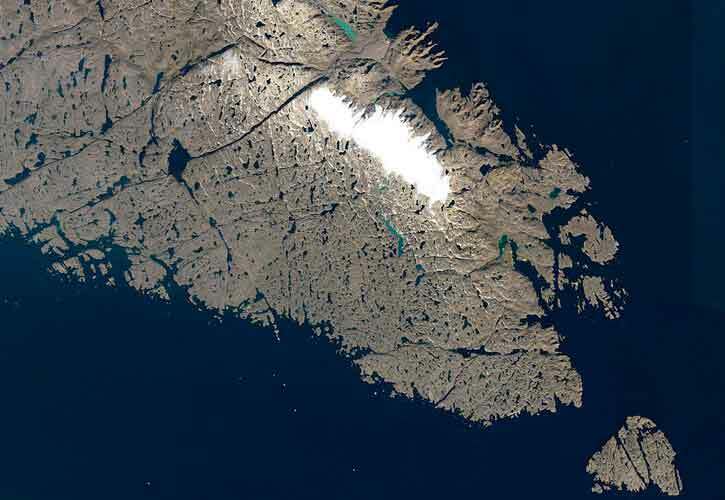 Canada’s largest island, and the fifth largest island in the world, lying between Greenland and the Canadian mainland, in the territory of Nunavut. 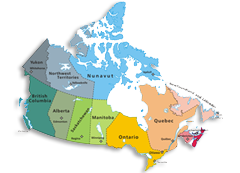 Known to the local Inuit as Oikiqtaaluk, it was later known to the Norse as Helluland. 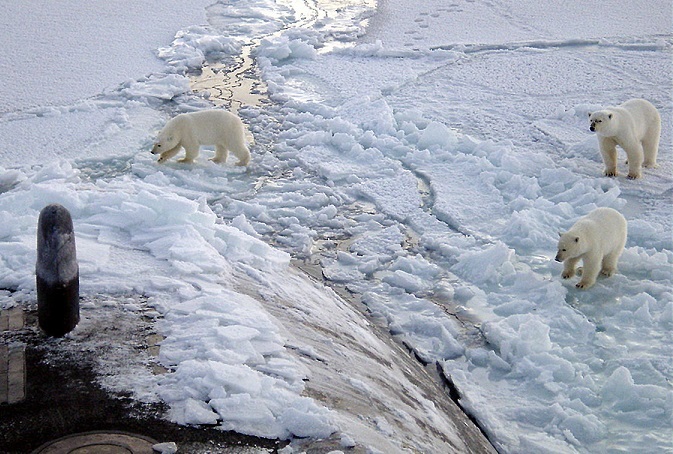 There is an abundance of wildlife including walrus, several whale species, caribou, polar bear, arctic fox, arctic hare, lemming, arctic wolf, seals, migrating fowl, shore birds, sea birds etc. Quebec's Old Town (Vieux-Québec) has an old-world charm unique in North America and is the only North American fortified city north of Mexico whose walls still exist. It was declared a UNESCO World Heritage Site in 1985. 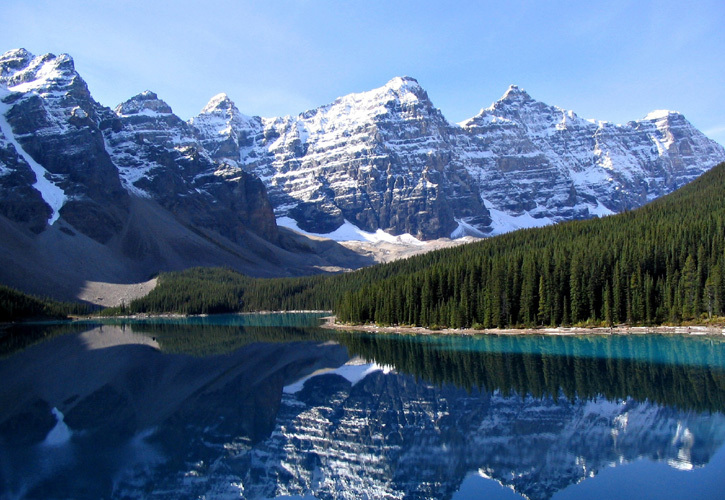 Banff National Park is one of five national parks in the Canadian Rocky Mountains that attract millions of visitors each year for camping, hiking, biking, skiing, fishing or just relaxing. The resort towns of Banff and Lake Louise are both located within Banff National Park and offer a full range of accommodation, restaurants and shops. 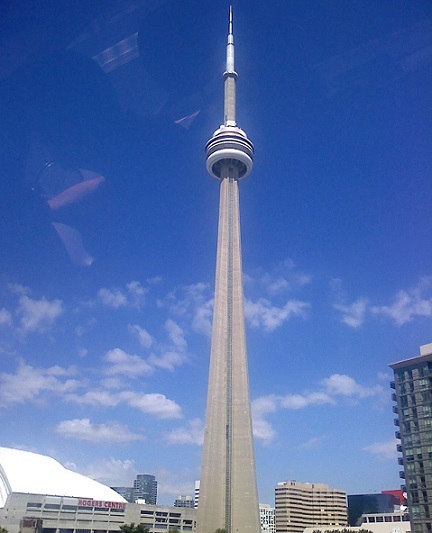 CN tower (1815 ft) is the tallest free standing structure in the world and it is located in downtown Toronto. Tourists are naturally drawn to tall buildings where they can get a bird's eye view of a city. Unfortunately the elevated observation usually comes at an elevated price and zero cultural appeal. The CN Tower is no different, but kids love it and the glass elevator that takes you to the 1,122 foot glass floored outdoor observation deck is a real thrill for kids. Parliament Hill is a stunning group of buildings that house Canada's parliament. 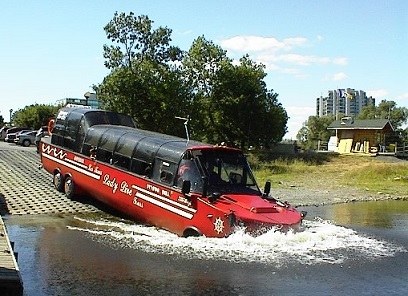 Free tours are offered throughout the year and the Hill is also the setting for national celebrations, like Canada Day - a holiday when Ottawa really comes to life. The Athabasca Sand Dunes consist of a series of dune fields stretching for about 100 km along the south shore of Lake Athabasca in northwest Saskatchewan. This is the largest active sand surface in Canada. 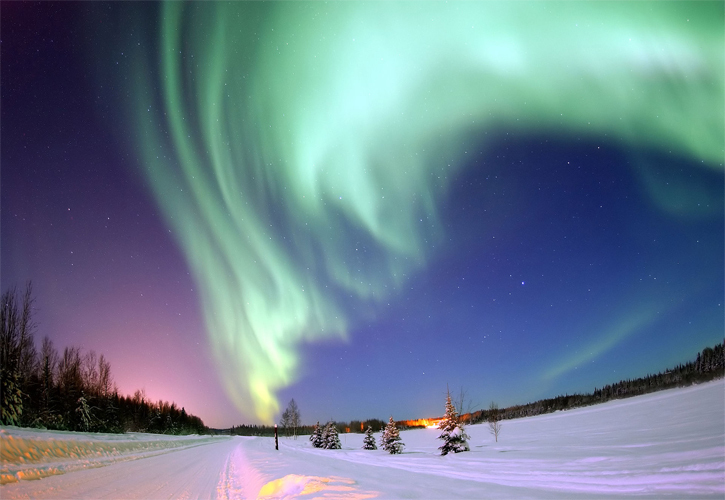 Experience fabulous aurora borealis viewing near Yellowknife, Northwest Territories. The capital of Canada’s Northwest Territories, Yellowknife, is located directly under the ‘Aurora Oval’, a narrow band encircling the polar reaches of the globe in which the mysterious coloured lights of the aurora borealis are at their most brilliant. Coupled with its clear nights, this favorable geographic location makes Yellowknife consistently one of the best places in the world for aurora viewing. Green Gables, located in Cavendish in the Prince Edward Island National Park, is a popular tourist destination. 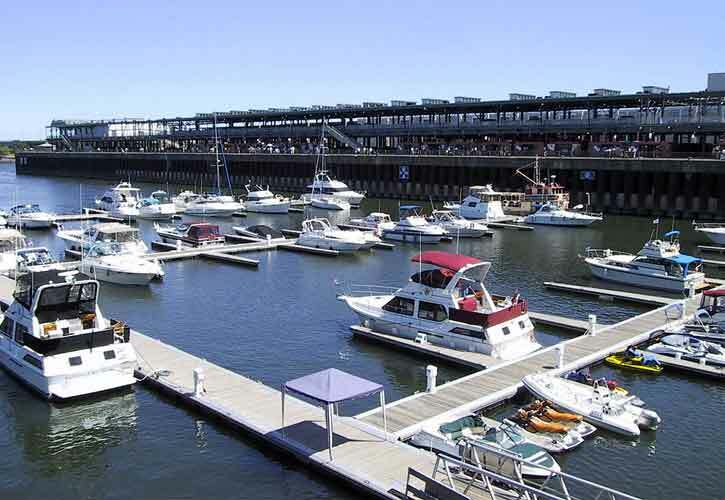 Each year hundreds of thousands of visitors from around the world.